In 1774, Thomas Jefferson drafted a set of instructions for a Virginia delegation to an extralegal congress of the representatives of other colonies. 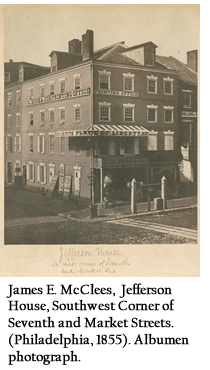 Taken ill, Jefferson did not accompany the delegation to Williamsburg. His document had not been intended for publication, but in his absence, and without his knowledge, his friends took the manuscript to the Williamsburg printer Clementina Rind. 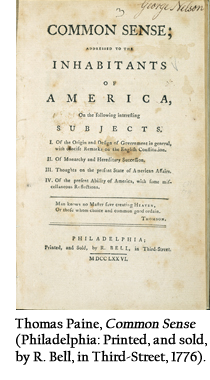 In this way they were responsible for the appearance of Jefferson’s first printed work, A Summary View of the Rights of British America. Set forth in some Resolutions intended for the Inspection of the present Delegates of the People of Virginia now in Convention. 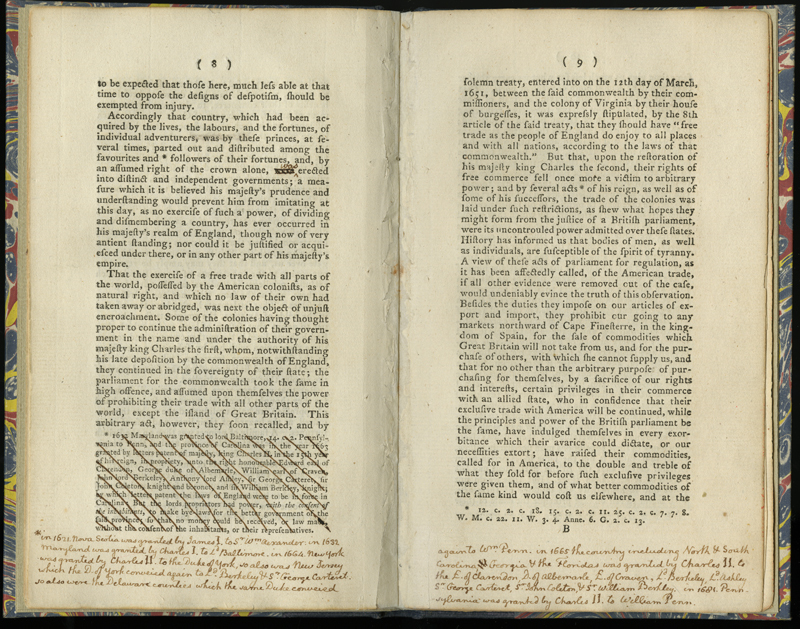 Jefferson later added handwritten corrections—corrections he might have made before printing had he been given the opportunity—to three copies of the printed work (one in the Library of Congress and two in the Library Company). 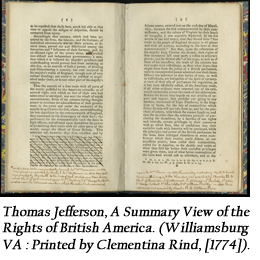 Only three other copies of this first edition, none of which have the notes, are known to exist. It is not quite certain how or when this one came into the Library Company’s collection. 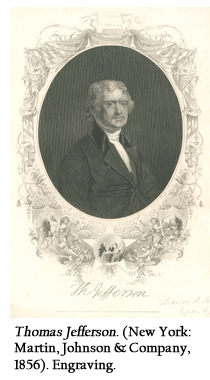 In a 1976 reproduction of this distinguished work bearing Jefferson’s autograph corrections, Dr. Lawrence C. Towner stated that it was notable among the political pamphlets of the period “because of its broad sweep, its literary distinction, and its reflection on the received philosophical, historical, and political views of revolutionary American.” A Summary View was the harbinger of Jefferson’s consummate statement, the Declaration of Independence. In the 1774 pamphlet he traced the development of the colonies within the framework of the liberties established for freemen by the Saxons, the historic base upon which the Whigs set Britain’s unwritten constitution. Against that background Jefferson sketched in uncompromising strokes the invasions by parliament of those liberties from the Navigation Acts to the Quartering Act. “Let no act be passed by any one legislature which may infringe on the rights and liberties of another,” he wrote. 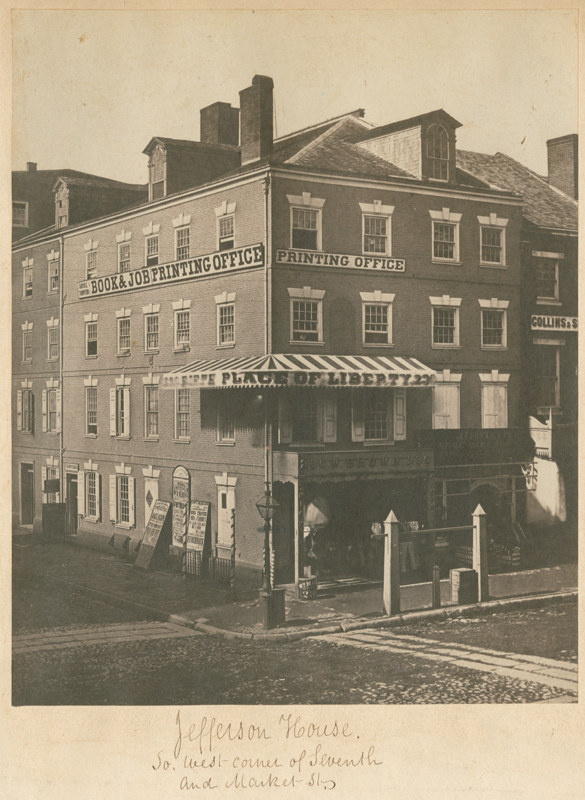 By the end of the Revolutionary era, American writers—primarily having produced religious sermons and tracts during the colonial years—had produced an extensive political literature, most of which was polemical in origin but extraordinarily impressive in terms of its display of a developing capacity for political analysis. In addition to A Summary View, the Library Company owns copies of some the most penetrating efforts to define the political and constitutional relationship between Britain and the colonies in the years before Independence. 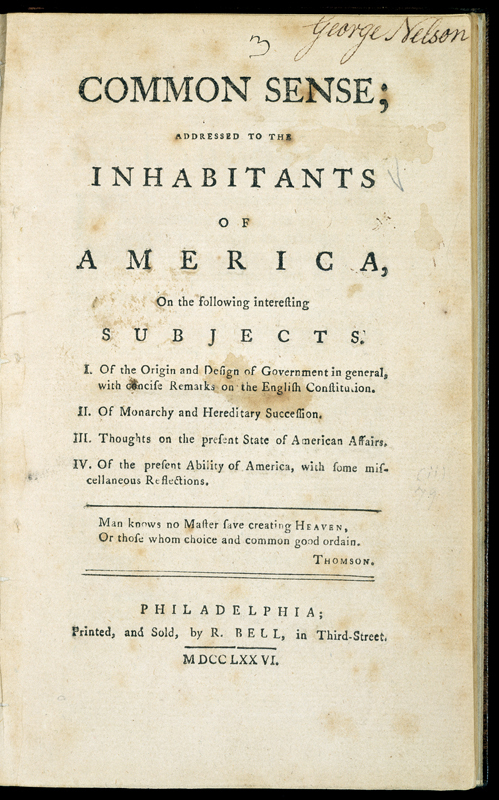 Among them are Considerations of the Propriety of Imposing Taxes in the colonies…by Act of Parliament (Annapolis, 1765) by Marylander Daniel Dulan (1722-97), An Enquiry into the Rights of the Colonies (Williamsburg, 1766) by Virginian Richard Bland (1710-76), Letters from a Pennsylvania Farmer (Philadelphia, 1774) by the Scottish immigrant to Pennsylvania James Wilson (1742-98), and Common Sense (Philadelphia, 1776) by the recent English immigrant Thomas Paine.